I picked up this young P. lowii at the NHOS show in Feb. I was quite happy to see it bloom this year. Beautiful! How are you growing it? That is a nice lowii! Do you do anything differently than your other phals? I know I didn't water mine faithfully every day and it was mounted. I killed two. 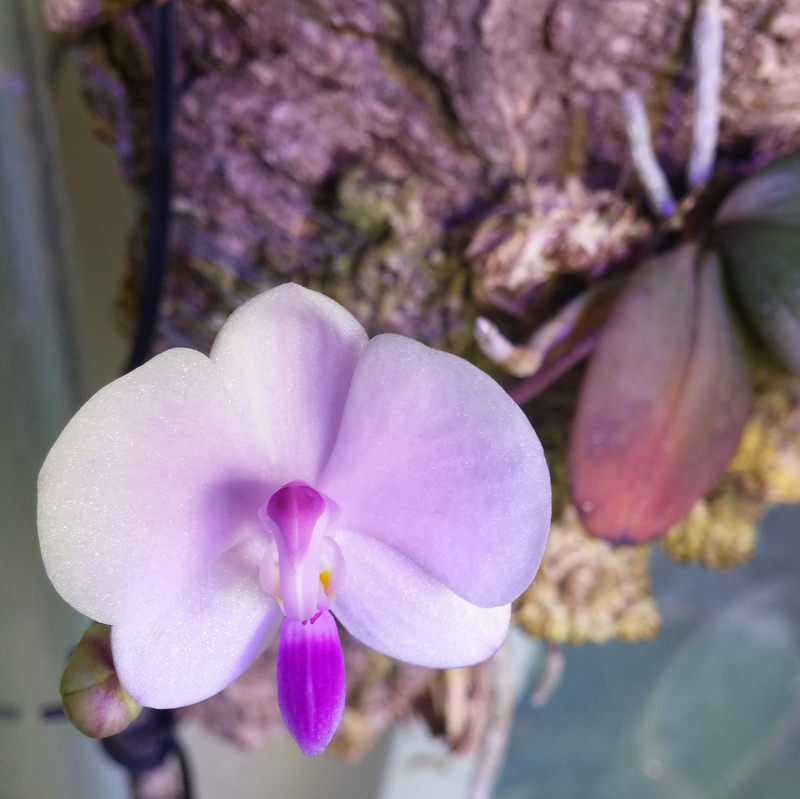 First I should state that this is my first attempt ate growing a deciduous Phal., and only purchased this back in Feb. with may Phal. San Shia Appendo. So I've only had these small plants for a about 8 months. However, the care I've given it has been mounted on cork, and in a tank to keep the humidity up. During the winter months, I struggle to keep the humidity over 35% and the smaller plants dry too fast. I like to keep the tank between 70-80%, with a computer fan for airflow. Light is 5k LED at about 600-800 fc, and temps between 75'f-85'f, although this summer during some of the hotter spells, it got closer to 90'f. I water when I see the moss dry out, as I really would rather it not drop it's leaves. 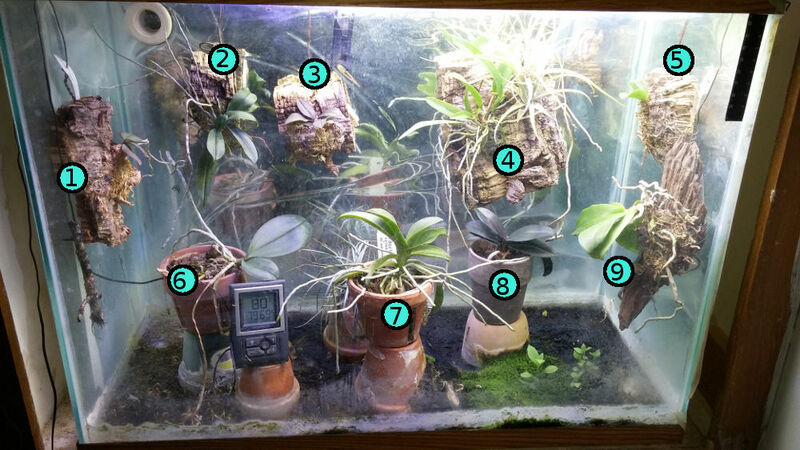 It is plant (1) in the Photo below, (2) is Phal. deliciosa, and (3) is Phal. San Shia Appendo. I do need to make some changes, as I have had some issues with fungus due to the high humidity. Thank you for the nice explanation. I have never tried lowii. Maybe now I’ll try it.